India's richest man is raising the stakes in a ferocious price war gripping the country's mobile phone market. Mukesh Ambani said on Thursday that users of his Reliance Jio network will continue to enjoy free 4G data, voice calls and video services until Mar. 31, 2017 -- three months longer than planned. When Jio launched in September, it promised subscribers free services until the end of 2016. From April, the cheapest Jio plan will cost 149 rupees ($2) per month. Ambani has staked billions on his bid to become a leading player, and the explosive debut has piled pressure on market leaders such as Airtel and Vodafone (VOD). The British telecoms group wrote down the value of its India business by $5 billion last month, citing increased competition. Ambani's giveaway may already be paying off. He said Jio has gained more than 50 million subscribers already, with over 600,000 people signing up every day. The decision to extend the offer by another three months -- available to new and existing subscribers -- could see that number dramatically increase. The company has also started delivering SIM cards to people's homes, a service it plans to extend to 100 cities by the end of the year. 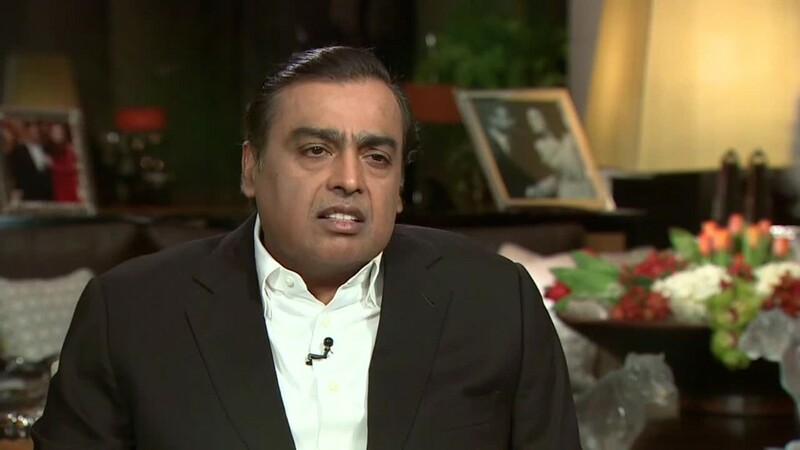 "Jio is, and will remain, a customer obsessed organization," Ambani said at a company event broadcast live on national TV. Related: India's boom continues but for how much longer? India's Internet is fast becoming a major battleground for domestic and foreign players, with hundreds of millions yet to get online and a rapidly-growing smartphone market. Global giants like Google (GOOGL) and Facebook (FB) are desperate to get in, and are currently testing out free WiFi services in the country's unconnected rural areas. Ambani also has his eye on the cashless payments boom sparked by India's scrapping of its two largest rupee notes. He announced the launch of a mobile payments service called Jio Money on Thursday.